A new duo that brings together two of the UK’s foremost folk and jazz artists, a sparse and emotive exploration of contemporary folk music formed by multi award winning Scottish fiddler/composer Aidan O’Rourke (Lau / Kan / Blazin Fiddles) and Mercury Music Prize nominated, BBC Jazz Award Winner harmonium and piano player, Kit Downes (ECM Records). Carter Sampson – the self-penned “Queen Of Oklahoma” – is heading in her red boots to Glasgow for a show in May 2018. Carter, whose fourth album Wilder Side has brought her music to a much wider and hugely appreciative audience, plays The Glad Café on the city’s southside on May 18, with support from Lauren Barth and Jesse Aycock. It will be the opening night of a UK tour for Carter, who usually plays around 220 gigs a year. Wilder Side, with its overarching themes of “heartbreak and highways,” is her fourth, full-length album and it’s rammed with soulful and soft country sounds. Critics have praised her pure country output while making justified comparisons to the likes of Patsy Cline and Emmylou Harris. Carter, currently working on new material, is also the founder and director of Oklahoma City’s Rock ‘n’ Roll Camp for Girls, which partners with non-profit organisations to empower girls and women through music education. Jesse Aycock and Lauren Barth, both Oklahoma residents and signed to Horton Records, will be performing songs from their albums as a duo. Local lad Daniel Meade will bring his own brand of honky-tonk to open up for Sturgill Simpson in The Admiral Bar this Sunday 23rd February. You can check out Daniel here from his session with Ricky Ross on Another Country. You can get a sneak preview of Sturgill’s sound this Friday, when you can hear him in session for Ricky Ross on BBC Radio Scotland’s Another Country. You can purchase tickets to see Aoife here. Our 10th Anniversary year is going from strength to strength. The Delines, a side project of Americana favourites Richmond Fontaine, will play Oran Mor as part of the Glasgow West End Festival on Friday, June 20th. 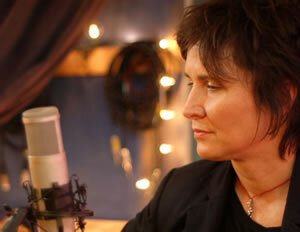 Headed by vocalist, Amy Boone, the band’s debut album Colfax comes out in April, with all songs written by RF frontman and now successful author, Willy Vlautin. He loves Amy’s voice so much he spent a year writing songs for her to record. The Delines line-up is certainly handy as it features Jenny Conlee (The Decemberists) on keyboards, as well as fellow Portlanders drummer, Sean Oldham (RF), Vlautin himself and, on pedal steel, Tucker Jackson (Minus 5). Just Announced: Zoe Muth & The Lost High Rollers. We are delighted to announce a show in October for Zoe and her band. Zoe is a real special talent, and you can see her perform at The CCA on Friday 31st October. AJ Roach & Nels Andrews – Due to work commitments in the United States, AJ Roach will now no longer be able to perform on Tuesday 20th May in The Admiral Bar. The good news is Nels Andrews will still be coming to play for us, original tickets still valid, opening act to be confirmed in due course. Just Announced- Krista Detor – Impressive singer/songwriter, Krista Detor from Indiana is heading for a show at The Admiral in Glasgow on Wednesday 30th April . Her first solo album in four years, “Flat Earth Day,” is due for release this month (January) and Maverick has described it as “exquisite.” Tickets on sale now from Tickets Scotland 0141 204 5151 or Tickets available here. Ned Roberts – Ned will open up for Anais Mitchell at St Andrew’s In The Square on Friday 28th February, Ned is an acoustic finger-picker and singer-songwriter based in London. Raised in a musical family (his father is renowned classical pianist Paul Roberts), Ned first started gigging when living up in York, playing old folk covers and the odd Dylan tune. Look for Ned’s debut record in early 2014. Tickets available here. 10th Anniversary Show @ Celtic Connections– our celebratory show with Gretchen Peters and Anthony D’Amato in The Mitchell Theatre is now totally sold out, sorry to those of you that couldn’t get tickets. Suzy Bogguss New Album– New CD “Lucky” features Merle Haggard songs from a female point of view. The musical line-up of award-winning Nashville artists with Suzy Bogguss includes Jessi Alexander, Matraca Berg, Beth Nielsen Chapman, Gretchen Peters and Jon Randall Stewart, you can catch Suzy perform some of these songs at St Andrew’s In The Square on Friday 11th April, tickets available here. Why not join the gang? You would be helping support live music, you would receive 15% off all Fallen Angels Club and Glasgow Americana shows, you would find out about shows before anybody else does, and you also get the opportunity to reserve front row seats where the venue layout allows it, plus lots more. Please send us an e-mail to info@fallenangelsclub.com if you require more information or you can simply purchase the membership card for an annual subscription of £25 here. What a great gig we had to finish off this year. An Evening With Gurf Morlix was the perfect way to say farewell to our 9th year of putting on shows – nice crowd as well. Our 10th anniversary year is certainly taking shape. Please check out the gig guide for new shows announced, including Suzy Bogguss, Michelle Shocked, Sam Baker, Anais Mitchell and Dan Stuart. We had a fantastic Glasgow Americana festival in October thanks to all the artists who played for us and thanks to all of you for snapping up the tickets and making it a huge success. Plans are already at an advanced stage for 2014 – dates for next year’s festival will be Wednesday 1st October to Sunday 5th October. Please keep your eye on the Glasgow Americana website for announcements. New-York based singer/songwriter Annie Keating’s fifth album, “For Keeps” is indeed a keeper. Beautifully crafted songs combined with musical hooks and punches knock the listener in the chest, making this album an instant classic. With refreshing honesty, grit and timelessness, Keating and her band of musical magic makers achieve a sound that is both, complex and simple, new and vintage. The first song gets its hooks in you and after 12 tracks you just want MORE. Danie Meades writes old time country songs and sings them, influence wise he’s steeped in Hank Williams, Big Bill Broonzy, Justin Townes Earle, please don’t ask him to write a Biog or call him a singer songwriter, oh and he’s only 29. Grammy nominated singer-songwriter Gretchen Peters calls the new “Hello Cruel World” her “most close-to-the-bone work, written at a time when I felt absolutely fearless about telling the truth.” Peters and guest Rodney Crowell sing, “life is still a beautiful disaster,” on “Dark Angel.” But Peters keeps the accent on the “beautiful” throughout her ninth disc, with both her poetic language and the spare, evocative sounds she created in the studio to support her organic story-telling. • 15% off all shows Fallen Angels Club shows (including the Glasgow Americana Festival). 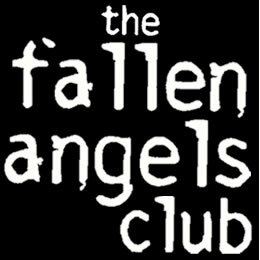 Please e-mail to info@fallenangelsclub.com if you wish to join the club. The highly-rated, blasting, roots rocker, Dave Alvin makes a welcome return to Glasgow after a 7 year absence. Ex-The Blasters’ Alvin brought out “Eleven Eleven,” which is a plugged-in bundle of raucous joy and gentle reveries that has featured in many an end of year “best of” list. 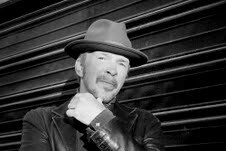 The LA Times says: “Dave Alvin sings of a grittier unspoken California where longing and greed and lust and loss all come together. Kevin, the log cabin dweller from Texas who featured in the Glasgow Americana Festival two years back, is highly rated and his last CD “Patch of Blue Sky” won positive reviews. Joy Kills Sorrow is yet another talented young band to emerge from Boston’s burgeoning bluegrass music scene. Rather than reinterpret the classic songs handed down by Bill Monroe this is a band that composes original material. They have been described as an alternative bluegrass, singer-songwriter, indie string band! The line up is mandolin, banjo, guitar and double bass fronted by the wonderful Emma Beaton on vocals. Making a long awaited reappearance in the city after a sell out show during Glasgow Americana Festival in 2008, the Handsome Family return to Glasgow in May with a new collection of darkly sublime, gothic ballads to chill the heart. Brett and Rennie Sparks’ unique take on the country-bluegrass murder ballad once earned them the title of the ”the Gomez and Morticia Adams of country music”. And yet somehow they do heartbreaking every bit as well as macabre. The couple’s last album Honey Moon was a bittersweet collection of – admittedly melancholy-laced – love songs in celebration of their two decades together. Unfalteringly captivating in a live setting, this is set to be one of the hottest tickets of the year. Native Texan singer-songwriter, Kimmie Rhodes appeared at Celtic Connections’ Texas Song Writers night two years ago. She’s worked with Townes Van Zandt, Emmylou Harris and Willie Nelson while her multi-platinum selling songs have been recorded by such stellar acts as Nelson, Trisha Yearwood, Amy Grant, Joe Ely, Waylon Jennings, and Emmylou. 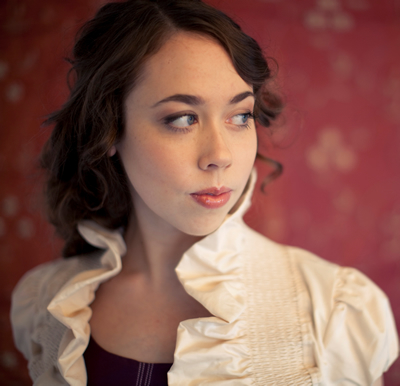 Texas-born singer-songwriter, multi instrumentalist, and now Boston resident Sarah Jarosz makes a welcome return to Glasgow after making her Scottish debut at the CCA last summer. Sarah featured on the BBC programme “The Transatlantic Sessions” late last year and performed alongside the likes of Allison Kraus, Tim O’Brien and Jerry Douglas to name but a few. “Follow Me Down” from Jarosz, her second release, displays her invigorating approach to acoustic music, seamlessly combining old time and contemporary sounds. Still only 20 years of age Sarah has already put together a CV that would make most veterans full on envy. In case you haven’t met her, Anaïs Mitchell is not a man. She’s a woman, quick to laugh and to cry, a fan of Jane Austen and miniskirts. She came of age reading the diaries of Anaïs Nin and blasting early Ani Difranco records. So it may catch a few listeners off-guard when Mitchell cries out, in the opening sequence of her latest album, “I’m a young man!” And it may come as a surprise when, over the course of eleven songs, she seems to be channeling spirits from the Old Testament to modern America—but mostly, well, from the Y chromosome. Nearly a decade ago she left St. John’s for Halifax, but still pines for Newfoundland every single day. With a number of East Coast Music Award nominations and an extensive discography, including: War Brides (2006), Lullaby for Barflies (2002), Trip Down Little Road (2001), and Barricade (2000), Curran knew it was finally time to make a record at home. Amelia’s “Bye, Bye Montreal” in particular is a Fallen Angels Club Favourite. Music legend, Alejandro Escovedo from Texas makes a speedy return following his exclusive and riveting Fallen Angels Club performance at last year’s Glasgow Americana Festival. A musician for 30 years, Escovedo – who can count Springsteen a big fan – turned sixty last year but his live performances continue to enthral. He’s back with a band this time, too. For 2012 Glasgow Americana brings to Glasgow Steve Forbert, Sam Baker, Eliza Gilkyson, Jason and The Scorchers, AJ Roach, Danny Schmidt & Carrie Elkin. And for five days Fringe Americana will see over a dozen acts at four different venues. The Sisters have been touring relentlessly since they released Chicken Ain’t Chicken in 2009. Their new CD, Looking For A Fight showcases the band’s razor sharp musicianship, complex arrangements and growing confidence as songwriters. Platinum selling songstress Suzy Bogguss believes that folk songs are the scrapbook of the American experience and resolved to record these timeless songs in an updated but reverent way. Last year she released her American Folk Songbook to critical acclaim, which features a crack squad of Nashville’s acoustic A-listers: Jerry Douglas, Stuart Duncan, Pat Bergeson, Charlie Chadwick and Jeff Taylor. Her voice lovingly weaves through the guitars and mandolins to find the new in these old songs and her willingness to embrace tradition shines through. Enjoy a night of classic acoustic folk bliss from this golden throated singer.